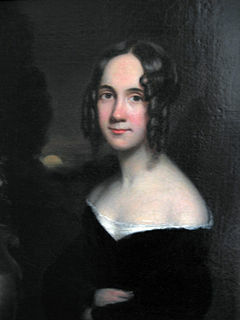 Dupont Cavalcade of America featured historical and biographical programs, many of famous and less well-known reporters, writers and editors of the past, including Sarah Josepha Hale (1788-1879), author, magazine editor and advocate of education for women. Hale’s best-known work may be a children’s poem about a young woman doing something against the rules — “Mary Had a Little Lamb” — but her long and productive life was an example of more subtle re-writing of 19th century rules. Before her retirement in 1877 — after 40 years as editor — she had campaigned successfully for women’s education and the employment of women as teachers, nurses and doctors. She also advocated labor-saving devices like washing machines and sewing machines, as well as pushing civic projects including the completion of the Bunker Hill Monument, preservation of Mount Vernon, and the creation of the national Thanksgiving holiday. The Cavalcade episode, in fact, was originally broadcast on Thanksgiving Eve. I can’t help wondering how women listening to this in 1937 (or today?) felt about Ms. Hale — a pioneer, an inspiration, or quaintly old-fashioned? The opening scene with her friend aghast to think that she actually was reading books seemed ancient — Dickensian, even. Then it dawned on me that this lady was 24 years older than DIckens. Here’s a biography page and a link to a more recent documentary film about her and Godey’s Lady’s Book. Some features from the magazine have been turned into an online edition, godeysladysbook.com. Joyce W. Warren. “Hale, Sarah Josepha Buell”; American National Biography Online Feb. 2000. This entry was posted in 19th century, historical figures, j-heroes, magazines, women. Bookmark the permalink.